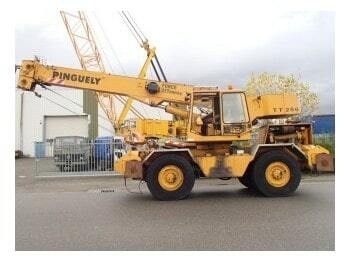 Some PINGUELY HAULOTTE Crane Service Manuals PDF are above the page. The history of the two companies Pinguely and Haulotte begins in 1881 and 1924, respectively. Companies developed independently of each other, producing various lifting equipment. In 1995, they merged and formed one company called Pinguely-Haulotte. Namely, this period there is an increased demand for various types of lifts in the USA and in Europe. The new company managed to quickly conquer the lift market in Europe, offering consumers a wide range of products of this technology. The main products of Pinguely-Haulotte are self-propelled mounting platforms: vertical, telescopic, scissor and cranked with a lifting height of up to 32 m, including small-sized with a telescopic mast, as well as telescopic loaders. Read - GENIE Service Manuals PDF & History.